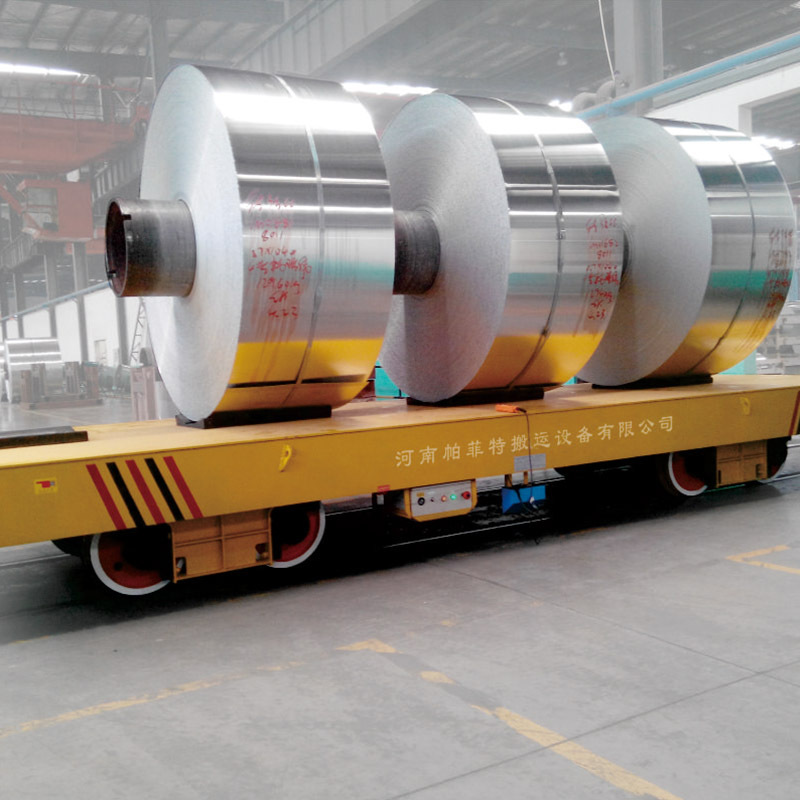 Question: We want to order one customized rail transfer car for 20T, but I do not know what parameters should I offer to your company? Answer: First of all, thank you very much for the trust of our rail transfer car. Now I answer your question. First, Please inform us what goods the transfer car carry and the load capacity. Second,you should provide the table size,the length,the width and the vertical height between the table and the rail tread.If you can’t make sure the size,you can tell us the type and size of the material, so that we can offer advice to you. of the cart, so that we can judge if there is any interference for the transfer car when working. Fourth, we also need to know the running distance, using frequency and whether climbing and turning for the transfer car. We can help your company choose the ideal transfer car.